FALLS CHURCH, Va. (AP) -- Lingering doubts over Gov. Ralph Northam's political future after the publication of a racist yearbook photo could propel an African-American political newcomer into the governor's mansion. If Northam stepped down, Justin Fairfax would be the second African-American governor in Virginia's history and just the fourth in the entire United States since Reconstruction. On Monday, Fairfax was drawn into a controversy of his own. He denied an allegation of sexual misconduct first reported by a conservative website, calling it a "smear." Fairfax said the 2004 encounter with a woman was consensual. The Associated Press is not reporting the accusation because AP has not able to confirm it. The Washington Post said Monday that it was approached by the woman in 2017, carefully investigated, but didn't publish the accusations. The Post said the woman had not told anyone about it, the account could not be corroborated, Fairfax denied it and the Post was unable to find other allegations against him. The 39-year-old lieutenant governor has held elected office for only one year. A descendant of slaves, he carried a copy of his ancestor's manumission papers with him as he was sworn in. Since then, he has become best known in Virginia for refusing to preside over the Senate chamber as lawmakers offered tributes to Confederate leaders on Virginia's Lee-Jackson Day, in January. He said he stepped off the dais to honor his family. Gene Rossi, a 30-year veteran of the Justice Department and one of the prosecutors who helped train Fairfax, said the lieutenant governor has "an incredibly acute legal mind" and is a quick study who could "hit the ground running." 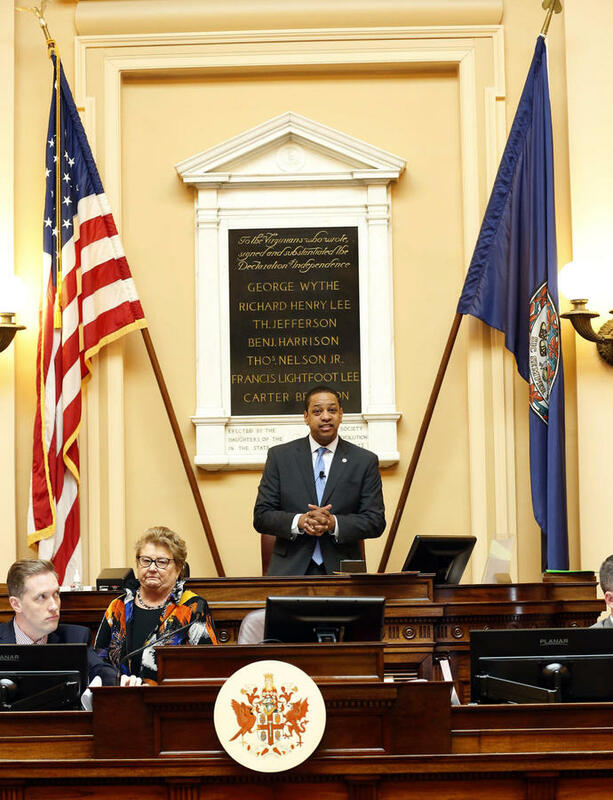 "I think he has what it takes to become governor and lead us out of this," Rossi said in a phone interview Monday morning, before Fairfax addressed the sexual assault allegation publicly. During the Democratic primary for lieutenant governor, Republican opponent Jill Holtzmann Vogel attacked Fairfax's lack of experience. At one debate, she said he was not sufficiently informed to "talk intelligently" about issues. Democrats saw the remark as an unfair attack with racial overtones. This story has been edited to clarify that Virginia law states governors can serve more than one term, but not consecutively.